FILE - Tables and blackboard in empty lecture hall. A group of Chinese high-school students have been accused of drugging a female classmate with a so-called aphrodisiac — triggering an online debate about the incident's alleged homophobic motive, NBC News reported. 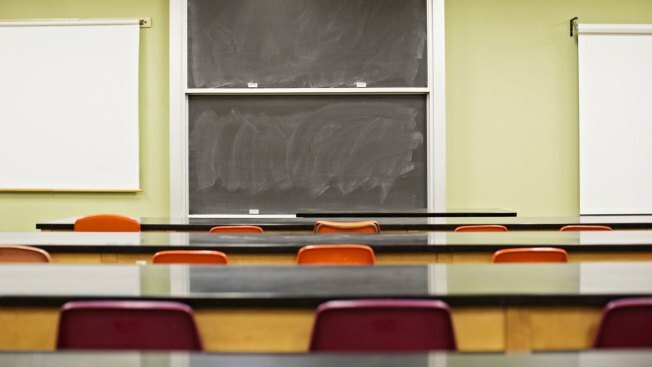 The local police and education board said in separate statements that a group of male classmates secretly put the substance in a glass of water. When the teen found out, she posted about it on Weibo, China's Twitter equivalent. "I can't believe this happened in a high school. I am so sorry about the girl. What her classmates did is unforgivable," a Weibo user wrote. "We should not blame the boys. She is a lesbian. They just want to help her become normal," read one post on the school's chatroom on Baidu.